Technically Speaking Segment: A brief interview with Jim Angleton of Aegis FinServ Corp about challenges tech companies face trying to reach their target clients. 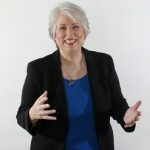 Moira Alexander is a contributor and co-host of the “technically speaking” segment on the Price of Business Talk Radio (on the BizTalkRadio Network), whom you can learn more about at www.leadhershipgroup.com. She recently interviewed Jim Angleton of Aegis FinServ Corp (as part of a series of interviews) to find out about some of the marketing challenges tech companies face when trying to reach their target markets. AegisFS developed CyberEYES™ which provides cyber social media reconnaissance protocol and services to professional Industries. The service scours the dark, deep and surface web for reputation risk, disinfo / misinfo negative media campaigns by competitors, ransomware hackers and disgruntled employees bashing or selling company secrets. Jim Angleton is the President of Aegis FinServ Corp, and has a 30 -year career as a banker and bank co-owner. Jim provides guidance for bank consulting turn-key debit card platforms, bank borrower consulting exit strategies including negotiations and refinance. He directs business Intelligence due diligence for legal litigation support, researches cyber data, cyber threat consulting, cyber reconnaissance and identity intelligence. AegisFS KYCustomer Registry™ provides complete global KYC due diligence for banks, law firms, insurance, real estate and accounting industries on a membership or project specific basis. Jim: The top three struggles our company experienced when trying to market our products and services was first educating industries and obtaining their buy into the need for this service. The second was creating a membership, subscription base and case-by-case service. The final struggle was creatively marketing the services to industries that would appreciate the value of service and not cause unwanted attention from nefarious organizations. Jim: AegisFS provides one of a kind cyber threat reconnaissance services under the trade name: CyberEYES™ . We are the only privately held cyber social media reconnaissance company in America. Utilizing and meeting the needs of our clients on a case-by-case basis providing actionable data is, as far as we know, the only version and service protocol in existence. Due to rising levels of cyber threat, corporate cyber espionage and trolling corporations or their executives requires the need to ‘watch your back’ and CyberEYES™ does just that. To find out more about Aegis FinServ Corp contact Jim below.